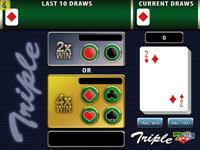 Triple is a game with 5 paylines and maximum bet credits. 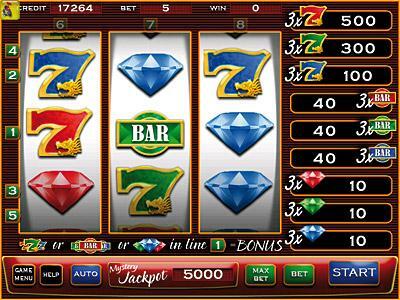 When 3 symbols “7” of different colour appear on the 1st payline then the Free Spins is triggered and 3 extra paylines are available. 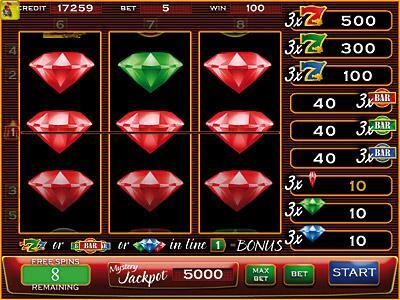 When 3 symbols “Diamond” of different colour appear on the 1st payline then the Diamond Bonus is triggered. When 3 symbols “Bar” appear on the 1st payline then the bar Bonus is triggered. 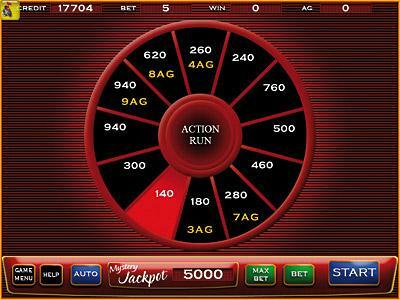 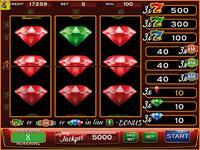 In Triple you can use the Avances feature in order to move the reels 1-3 positions and also get the Mystery Jackpot.